The Elegance at Hershey hosted another successful and eye-popping weekend of activities. The 5th year for this event had record-breaking attendance, beautiful weather and some of the most spectacular cars ever seen in one place. The Hotel Hershey was once again the host for three full days of events including The Grand Ascent hill climb for vintage race cars, the 5K Challenge runners’ race, the crazy and unique Concorso Bizarro and, of course, The Elegance Garden Party where spectators could walk among the hotel gardens and over 70 of the world’s finest collector cars in existence. 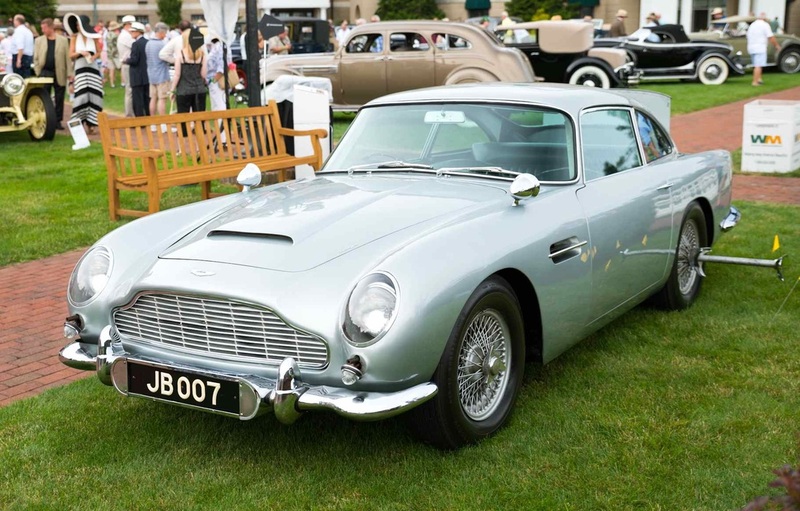 The Elegance has previously donated $560,000 to the Juvenile Diabetes Research Foundation (JDRF), the AACA Museum and the AACA Library & Research Center. Thanks to the success of this weekend and the generosity of our sponsors and guests, we will once again be able to make a substantial donation to our charities. The Elegance Garden Party on Sunday lived up to its promise. 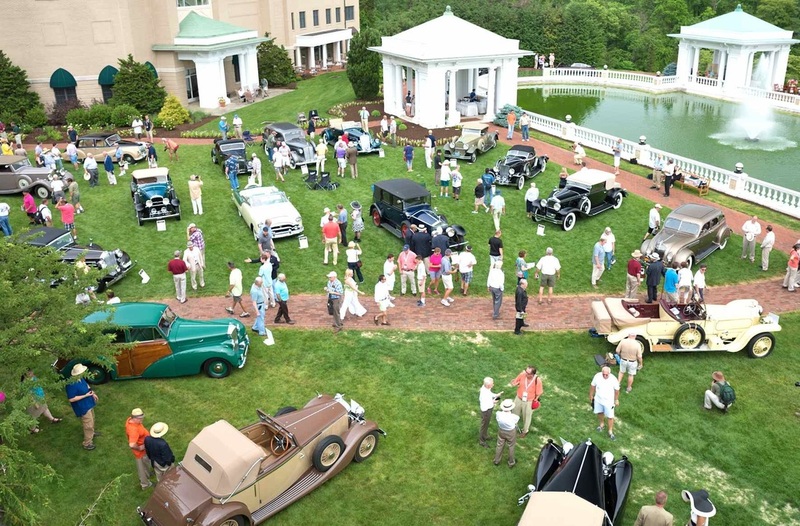 Artistry in Motion was this year’s theme as the magnificent cars looked like works of art nestled on the beautiful grounds of The Hotel Hershey. 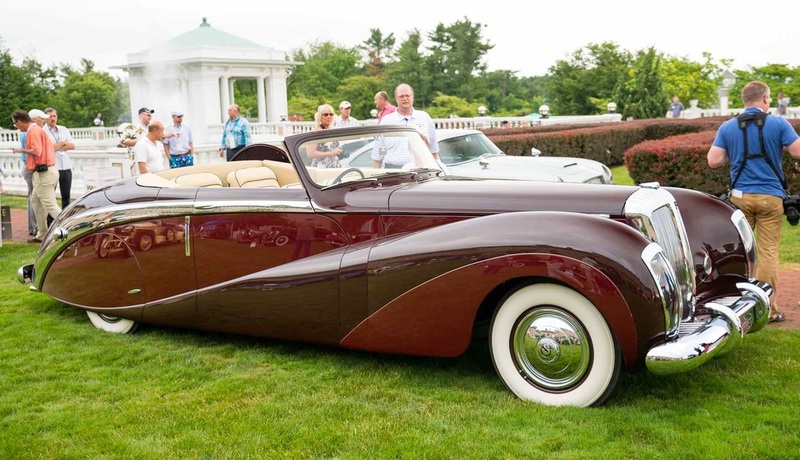 Each in its own right was a winner, but, in the end, the superb 1948 Daimler DE36 Drophead Coupe owned by Mr. Mark Hyman of St. Louis, MO, drove off with the coveted Elegance at Hershey Best of Show, also known as the Governor’s Cup. Not to be forgotten, the Concorso Bizarro also had an impressive group of entrants and awards were chosen there also. The Hagerty Youth opted to bestow their award on the fabulous Cartoon Truck owned by Bob Luczun of Clifton, NJ, while our celebrity judge, Miss Idaho Sierra Sandison, decided on two Best of Show winners – the Hillbilly Model A Truck owned by John Kauffman of Shermandale, PA, and the Coffin Rod designed and built by Dustin Chestnut of Newmanville, PA.
On Friday and Saturday the Ascent at Hershey saw 25 cars racing the historic hill course in the back of The Hotel Hershey. The Ascent brings out some amazing historic race cars and this year was no exception and even included a 16-cylinder Bugatti! Charity rides were given in these cars at noon and more than one patron was found cleaning the bugs off their teeth. Graham Long in his Lotus Super Seven was once again the quickest over the weekend. Saturday also saw men and women of all ages racing up and down the same course that the race cars ran and further on Boathouse Rd. to a leg-burning 5K that they will all remember. Going up was definitely a challenge, but going down was a challenge as well and we applaud all of the runners for their effort. The overall winner was Kevin Fuller at 18 minutes and the overall female winner was Mary Dell at 18.49 minutes. We thank all of the car owners for sharing their magnificent machines with us for one short day. Every car was indeed a winner in its own way, delighting the crowd that joined us. Thank you also to our Grand Marshalls Leigh and Leslie Keno, TV star Wayne Carini, our sponsors and donors, our staff, hundreds of volunteers, our patrons and the team at Hotel Hershey and Hershey Entertainment and Resorts for their herculean efforts to make this year’s Elegance at Hershey a seamless extravaganza. Plans are already afoot to make the 2016 Elegance at Hershey even better. Coming Event - AACA Eastern Regional Fall Meet, at Elegance at Hershey, October 7 - 10, 2015. The largest flea market and show of its kind in the world. The Hershey Region of the Antique Automobile Club of America (AACA) began hosting the show in 1955 and has done so each year since then. It attracts visitors from all over the United States and other countries. If you love antique cars, you must visit the show. If you are interested in becoming a sponsor, donor or volunteer, please call The Elegance office. Note: Permission from Management to reproduce their content and photos. Photos by Mark Usciak.